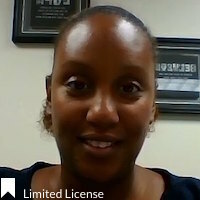 I am Registered Mental Health Counselor Intern with the state of Florida. I use various interventions with clients depending on their needs. I offer flexibility in specialties as well as availability for sessions. *Shereema has completed coursework and received a Masters degree from an accredited university; however, she is not fully licensed to practice independently, and is under supervision with a fully licensed Provider. The State of Florida allows individuals under supervision to provide clinical services to Medicaid patients.